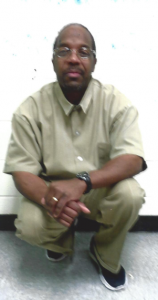 Pleas sign Christopher’s clemency petition on Change.org. Charges: Conspiracy to possess 50 grams or more & possession of 3 grams or less. Priors: Transporting /sell narcotics = 7 days in jail. At 24 carrying a firearm= 30 days. Possession of marijuana for sell = 9 months. Prison conduct: Only received 2 incident reports in 17 years. Last 9 years have been incident free. Supporters: Family, close family friends. 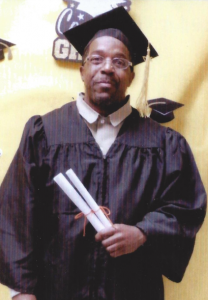 Accomplishments: Received G.E.D since being incarcerated along with a 200 hour computer course, a 240 hour micro computing course , a 240 hr Business Education course, a 240hr Advanced Micro Computing course, and most recently a 400 hour Culinary Arts vocational training course through the National Restaurant Association. Participated in and completed the 500 hour Challenge Psychology Treatment Program. This past June, completed training for and now volunteers as an inmate companion with the suicide watch schedule. Also completed at least 30 different continuing educational classes like personal growth and commercial driving preparation. Updated: 6/26/2018 (1) 120hr sprinkler installation course (2) 2.5hr criminal thinking: therapeutic journaling (3) victor valley college- solar photovoltaic installation course. (4) victor valley college- composting/soil food web soil & water conservation course. (5) victor valley college- soil waste management and composting course. (6) Mojave water agency- qualified water efficient landscaper course. qwel- & .watersense.meets (EPA criteria.) also 2 wellness courses 1 core stability & beginners anatomy. also i have completed a program that is offered here called men s.t.o.p. which is a acronym for mentally. eradicating. negativity. – solution. to. our. problems. (1) c.i.r.c.l.e.s. course= correcting. instatutional.residivism. course. learning. enhances. success. (2) leadership course. (3) public speaking course. (4) facilitator course. I also got a certificate for mentorship in the MEN S.T.O.P Program. Because of Mr. Christopher Holyfield commitment to being the SOLUTION TO OUR PROBLEMS, I am honored as the founder of the M.EN S.T.O.P.! Program to be able to write this letter of COMPLETION. Mr. Holyfield had completed all course requirements and has up held the principles and standard of achievement upon the grounds this program was founded. He has sacrificed time, servitude, knowledge and understanding. He has been steadfast in aiding in the growth and development of others like himself whom are dealing with the cycles of family dysfunction, gang affiliation, drug abuse and peer pressure. He is the definition of positive change, a skilled leader, and a Public Speaker, armed with the tools to effectively facilitate in any given situation. It is with confidence that I recommend all those in need of his skills and service as a Mentor and Facilitator to take advantage of this individual’s profound abilities and experience. I have been in prison for 16 years for conspiracy to sell 50 grams or more of crack cocaine, and possession of 3 grams or less of crack, a crime in which no violence was involved. I was sentenced to a mandatory minimum life sentence without the possibility of parole. I have five children who have grown up with out me being present in their lives. They are all adults now except one. my son has four children who I would love to be a part of their lives. 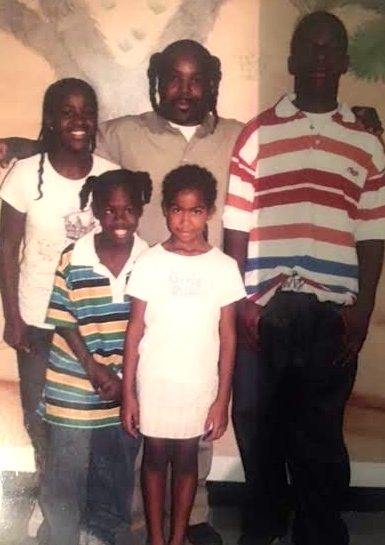 They are about the ages now that some of my children were when i came to prison. I am truly sorry for the crimes I have committed and I pray for forgiveness. I would like to return to my community and be a productive member of society. Since my incarceration, I have matured allot. My thinking is different now. I value my freedom and life more. I have taken several classes and gotten my GED, along with several other accomplishments, and I am ready to go home and share the new Chris with my family and others. I will also instill principles I wish I had adhered to when I was growing up. I don’t want them to make the same mistakes and choices I once made in the past. I was a 32 years old when I was arrested and I’m now 48 years old. I do not know how much longer i will live , only god knows, but i would love to spend the rest of my life with my family. I would like to go home, work and help support my love ones. I have already lost my dad while I have been in prison and my mom is getting old. I do not know how much longer she will live, but I want to be with her for the rest of our lives. She has always been a strong support system for me, spiritually and mentally through this time. I also have a daughter that is 19 years old from an outside relationship who was a little over 1 years old when I was arrested. Her mom was in a car accident when she was 3 years old. Her mom suffered brain damage and has been hospitalized for the past 16 years. I am her only biological parent capable of applying parenting skills, love and care that she needs. In closing, I have been in prison for 18 years for the crime of conspiracy to distribute 50 grams or more of crack cocaine. I understand when you break the law you will be punished but I do not think that the crime I have committed deserves or fits a life sentence with out the possibility of parole. For this reason I am begging for the mercy of President Trump to let me return to my family and my community. I can be a positive influence to my loved ones and also those who may be headed down the wrong path. Thank you so much for your time. 50 queries in 1.271 seconds.